Villa Del Sol (The House of the Sun) is next door to our other property. 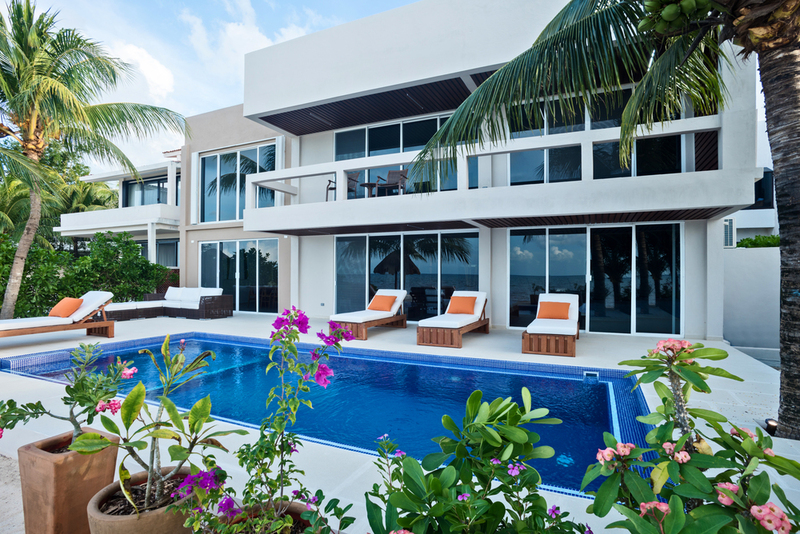 Villa del Sol is the NEWEST addition to the luxury villas I offer on the island of Cozumel. Villa Del-Sol is located in the country club estates three miles from town, on a beautiful, white sandy beach that stretches for miles in both directions. At Del Sol you will find four luxurious bedrooms and four and half bathrooms. For larger groups, you can combine Grace and Del-Sol (when available) for retreats. For example, reserving both beautiful villas could make for the perfect setting for a yoga retreat for a large group! The seaside patio and pool area extend the entire length of the villa. Oceanfront patio is furnished with cushioned lounge chairs and table and chairs, and features a brand new infinity swimming pool. Del Sol is tucked away on a secluded sandy beach on the beautiful north shore of Cozumel, three miles from town. It's a magnificent beachfront villa that overlooks the ocean and offers stunning views and a beautiful sandy beach that is literally right outside your door, and virtually your own! With four spacious bedrooms and four and a half bathrooms, this two story villa makes for an ideal vacation retreat for families, friends or couples. If you are looking for a private oasis to enjoy with friends or family, or a romantic getaway right on the beach, you will be delighted. 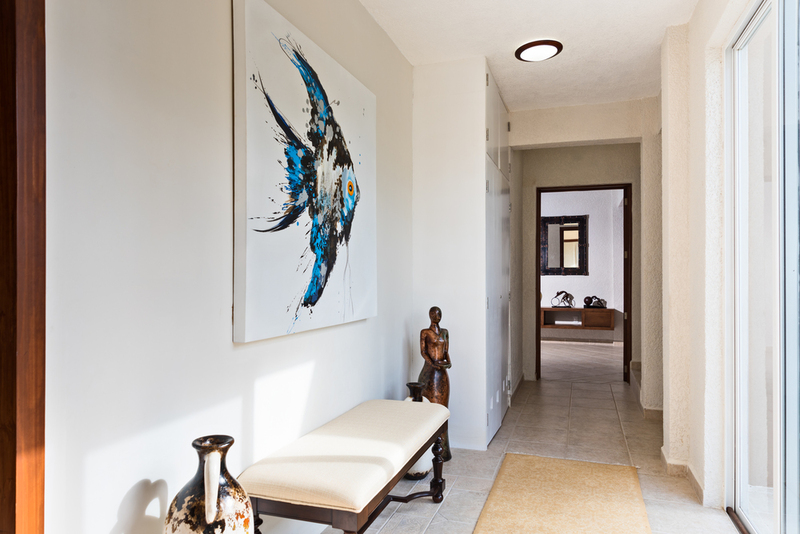 Enter the villa into a huge living and dining room with endless view of the sea. Through sliding doors, walk right onto a sprawling patio and your beachfront is just a few steps away with luxury lounge chairs on the white sandy beach. Relax under the palapa, feel the ocean breeze, and enjoy the sound of the sea or simply bask in the warm Carribbean sun. The sandy beach outside your door stretches for a long way in both directions, perfect for a morning stroll or gorgeous sunset walk. The home is well appointed for large group meals in the dining room, as well as more informal meals on the patio lounge areas, all with the backdrop of the ocean view to set the perfect ambience. The beach is mostly empty, so you feel very private at Villa del Sol, yet you are only three miles from town. It is the perfect combination of privacy with very close proximity to the restaurants and shopping Cozumel offers. The location of the villa is unbeatable, and the spaciousness, luxury, and attention to details in every room will make you certain that you feel immediately relaxed and ready to leave your stress behind. Many owners use big words to describe their homes; I assure you, we spare nothing to make your vacation as enjoyable as possible. Our goal is to be "a touch above" in Cozumel. 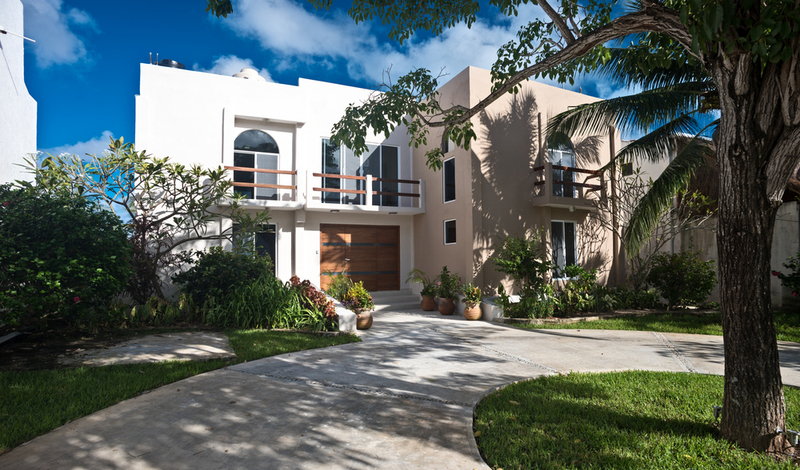 We have two other properties in Cozumel that are cared for in the same way. Our staff and manager will great you and make sure you are taking care of in the most gracious way. 2 king beds, and 4 queen beds. Above all thank you for considering us for your vacation. We in return will do our best to make it a great one!